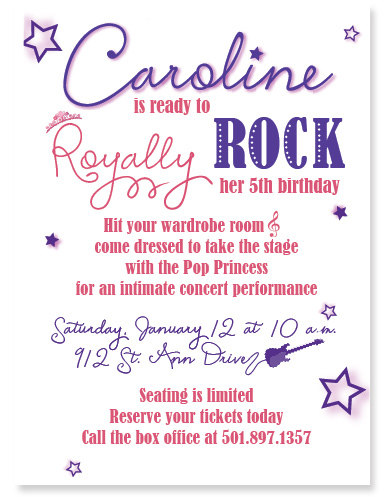 Perfect for your little performer, our Pop Princess invitation is just right for your pint-sized pop star! Thanks for stopping by! We hope you'll find an invitation just right for your celebration. Pink Peppermint Paper's selection of party invitations is unlike any other, featuring 100% original artwork and often customizable to suit your color scheme. Invitation wording options carefully crafted for each specific event take the work out of ordering. Use the provided wording with your party details or make it all your own.